Price includes: $2,000 - TMS Customer Cash - LA. Exp. 04/30/2019 2019 Toyota Yaris LYaris L, 4D Sedan, 1.5L DOHC, 6-Speed Manual, FWD, Graphite, Blue Black w/Fabric Seat Trim. Price includes: $2,000 - TMS Customer Cash - LA. Exp. 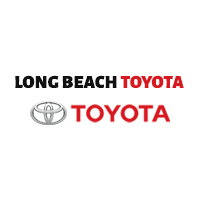 04/30/2019 2019 Toyota Yaris LYaris L, 4D Sedan, 1.5L DOHC, 6-Speed Automatic, FWD, Graphite, Blue Black w/Fabric Seat Trim. Price includes: $2,000 - TMS Customer Cash - LA. Exp. 04/30/2019 2019 Toyota Yaris LEYaris LE, 4D Sedan, 1.5L DOHC, 6-Speed Automatic, FWD, Sapphire, Blue Black w/Fabric Seat Trim. Price includes: $2,000 - TMS Customer Cash - LA. Exp. 04/30/2019 2019 Toyota Yaris LEYaris LE, 4D Sedan, 1.5L DOHC, 6-Speed Automatic, FWD, Chromium, Blue Black w/Fabric Seat Trim. Price includes: $2,000 - TMS Customer Cash - LA. Exp. 04/30/2019 2019 Toyota Yaris LEYaris LE, 4D Sedan, 1.5L DOHC, 6-Speed Automatic, FWD, Frost, Blue Black w/Fabric Seat Trim. Price includes: $2,000 - TMS Customer Cash - LA. Exp. 04/30/2019 2019 Toyota Yaris XLEYaris XLE, 4D Sedan, 1.5L DOHC, 6-Speed Automatic, FWD, Frost.